Dr. Compere has been volunteering in Haiti doing missionary work and providing basic healthcare since 2012. 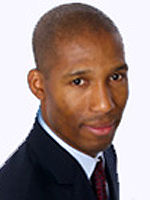 He is a founding member and current Chairperson of the Board of Directors of the National Association of Haitian Professionals and a member of the American College of Physicians. Mr. Renaud is a Senior Tax Specialist with the U.S. Department of Treasury. Prior to this position, he was a Corporate Tax Examiner dealing with various and complex tax issues in different business entities such as C-Corporations, S-Corporations, Partnerships, and other type of business entities with a wide range of assets. Prior to joining the U.S. Treasury, he was employed with PriceWaterhouseCoopers LLP. in their International Tax Services (ITS) as an International Tax Associate working on various international tax issues. Mr. Renaud is a founding member of the National Alliance for the Advancement of Haitian Professionals (NAAHP), a founding member of the New Jersey Haitian Student Association (NJHSA), a Current Advisory Board Member of the Haitian Association of Indiana (HAI), and a former Board of Directors of the Haitian American Leadership Council (HALEC) – NJ Chapter. Mr. Renaud graduated with a Master of Science in Accounting from Seton Hall University; an MBA in Finance and a Bachelor of Science in Management from the New Jersey Institute of Technology.